We would like to inform you that the Belgrade City Administration, Secretariat for Culture, has announced a “Public international two-phase open competition for the design of a conceptual solution for the Zoran Bindic memorial at the Students square in Belgrade”. Please find the documents required for applying here. 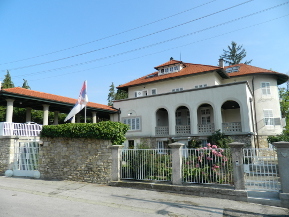 Embassy, as a part of the official delegation of the Republic of Serbia led by Prime Minister of the Government of the Republic of Serbia H.E. Ms. Ana Brnabic, participated at the Eight Summit of the Heads of Government “16+1” Initiative of the Central and Eastern European Countries and China, held in Dubrovnik on 11th and 12th April 2019. "DAYS OF THE SERBIAN MOVIES - MOVIE THEATER IS OPEN AGAIN!" Days of the Serbian Movies Festival, third in a row, has been opened on 3rd April 2019. in “Tuskanac” Cinema in Zagreb. Festival will last until 7th April 2019 and will be dedicated to two magnificent Serbian artists – Milena Dravic and Dusan Makavejev. Embassy participated at the Study visit to the County of Brodsko-Posavska, on 20th March 2019. Visit was organized by the Ministry of Foreign and European Affairs of the Republic of Croatia for the members of the Diplomatic Core in Croatia. The goal of the visit was to present economic, as well as tourist and cultural potentials of the County.